Work is an important component of life. Studies indicate that it can also be a grueling aspect that can have a profound negative impact on mental health. Work overload, long hours, and relentlessly hectic environments can lead to anxiety, depression, and other stress-related mental health issues. Because of this, it’s important for employers to promote strategies that create healthier work environments and encourage a positive work-life balance. The following resources can help accomplish this. It’s easy to be so concerned with what’s happening next that what’s happening now gets lost in the shuffle. This seems particularly true in this age of social media and handheld technology, which facilitate constant, nagging intrusions and demands for attention. However, studies indicate that mindfulness strategies designed to get people to focus on the present can reduce stress in the workplace and can have positive ramifications outside of the office. What Role Does Mindfulness Play in Employee Wellness? : In this article, several different executives share their perspectives on the role of mindfulness in the workplace. Effects of Mindfulness-Based Stress Reduction on Employees’ Mental Health: A Systematic Review: This research paper examines what effect mindfulness tactics had on the mental health of various employee groups. How to Bring Mindfulness into Your Employee Wellness Program: This article highlights a range of mindfulness tactics, including some that can be used at home. Studies indicate pet ownership can promote a greater sense of mental health. This data has made offices more receptive to having pets in an office setting. While this does require the creation of several rules to promote a symbiotic work environment, allowing employees to bring their pets to work could increase production and lower stress. It’s Official: Pets Benefit Our Mental Health: This article discusses the various mental health benefits associated with pet ownership. Which Office Pets Are Right for You? : This article breaks down the expectations and considerations that can arise depending on which types of pets are allowed into an office. Pets Go to Work: If You Follow These Tips: This guide goes over the essential steps offices must take to ensure a pet-friendly environment. Americans are practically conditioned to work at a persistent rate. While this may seem to be the way to get ahead in the corporate world, studies indicate putting too many hours into work and ignoring a proper work-life balance can actually do more harm than good, particularly when it comes to mental health. Taking a reasonable number of mental health breaks from work, on the other hand, can leave a person ready to take care of business in a relaxed, rejuvenated fashion. The Dangerous Link Between Overworked Employees and Their Health: This statistics-driven article explains how working too many hours can be dangerous for a person’s health. Why and How You Should Take Breaks at Work: This article explains the mental benefits employees can achieve just by stepping away from their desks for a few minutes. When Is a Mental Health Day Off from Work Justified? : This article explains the difference between needing a mental health break and needing mental health treatment. While cell phones and handheld devices have revolutionized communications, they are also responsible for the unfortunate reality that many people are now constantly connected to work. This perpetual link to the corporate world can be a prime mover behind an employee’s mental health degradation. That’s why the simple act of “unplugging” from these devices can do wonders for reducing work-related anxiety and stress. How the Internet Affects Your Mental Health: This comprehensive article breaks down the various disruptions to everyday health that can be caused by constantly being on a handheld device. Phone Notifications Cause ‘ADHD-like Symptoms’: This article explains the addictive nature behind phone push notifications, including how these affect a person’s mental state. How Unplugging from Technology Can Improve Mental Health: This article highlights the benefits that result from periodically stepping away from handheld technology. Increased anxiety and decreased productivity can be two key signs that an employee is experiencing mental health problems, and they can also point to a lack of sleep. Unsurprisingly, studies show that a distinct correlation exists between the two issues. A lack of sleep can lead to problems at work and, conversely, overwork can cause insomnia or sleep disruption. Good sleep habits and work-life balance can potentially lead to improvements in the well-being of workers. Impact of Working Hours on Sleep and Mental Health: This deep statistics-driven survey shows the existing correlation between working too many hours and sleep-related issues. Better Sleep: The Secret to Employee Mental Health: This comprehensive study uses statistical data to demonstrate the relationship between sleep and mental health. How Do Your Employees Sleep at Night? Should You Care? : This article provides strategic information for employers on how they can help employees improve their sleeping habits. Employers can have an immediate impact on the mental health of their employees. 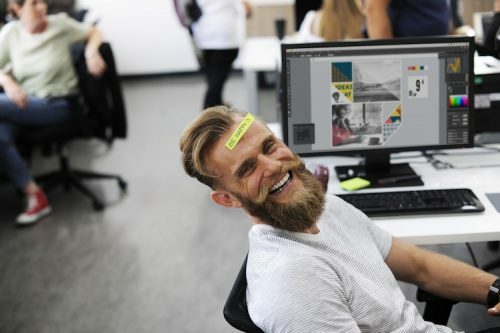 Since studies indicate a correlation between improved employee mental health and better productivity, keeping workers in a good state of mind is more likely to boost profitability than keeping them at their desks for extended periods. Fortunately, there are several steps employers can take to encourage their staff to take better care of their mental health. The Link Between Workforce Health and Safety and the Health of the Bottom Line: This scholarly article uses statistics to show the toll that poor employee health, including poor mental health, can have on a company’s profitability. 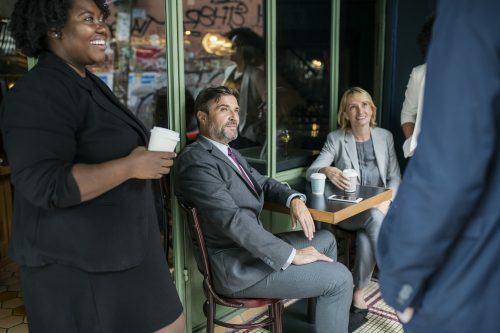 The Role Managers Play in Shaping Employee Well-Being: This article provides methods managers can use to encourage employees to proactively take care of their physical and mental health. How to Talk About Mental Health Issues at Work: This article offers suggestions on how employers can approach the topic of employee mental health with their workers. Unfortunately, there are times when improving employee mental health isn’t as simple as allowing pets in the office or encouraging the occasional day off. In these cases, the causes of an employee’s struggles may need referral to an outside source. This is why having an Employee Assistance Program (EAP) for a worker to reach out to can be a key component to an overall wellness strategy. Employee Assistance Programs: This comprehensive article explains the basic elements of an EAP and includes statistics to demonstrate the potential frequency of its usage. How Your EAP Can Improve Mental Health in the Workplace: This article provides an explanation of how an EAP can be a fundamental tool to help employees strive for optimal wellness. An Employer’s Guide to Employee Assistance Programs: This comprehensive report lays out the historic and strategic value of an EAP and its impact on helping businesses meet their corporate goals.